March | 2008 | Ipoh Mali Talak Sombong! *Notice: I didn’t see John King’s kiosk at the Pavilion’s Food Republic anymore, suspecting that they’ve been closed down. 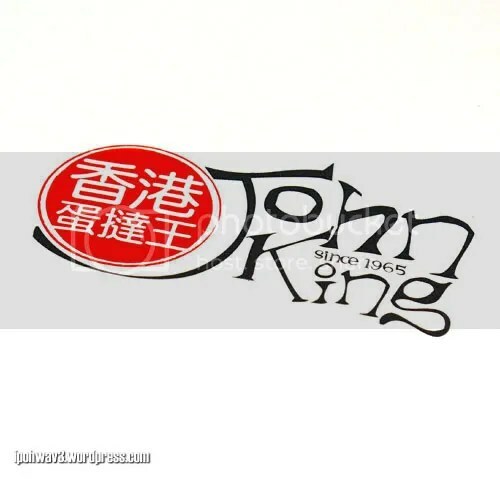 Was walking aimlessly at lower ground level in Pavilion two Saturdays ago with friends after lunch and some window shopping when my eyes spotted a small crowd in front the kiosk of John King. 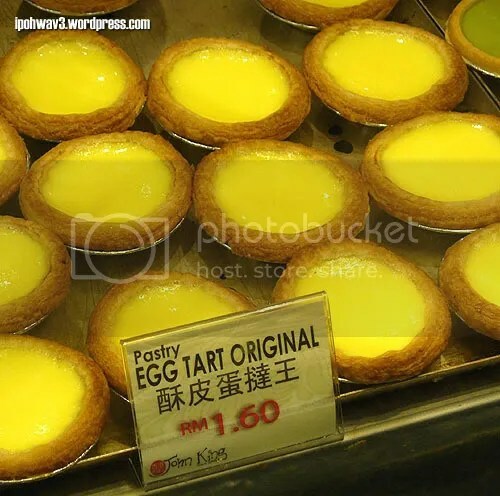 Egg tarts! I quickly dashed over, leaving the guys behind and joined in the crowd. 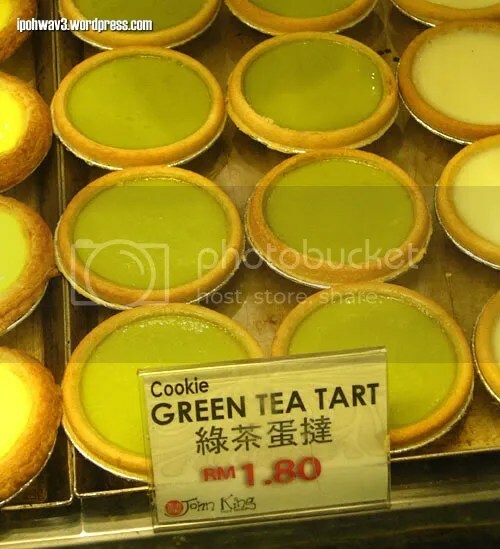 And when I saw the Green Tea Tarts, I remember Boo_licious mentioned this before. Luckily we went down to the lower ground area, else I would have missed it. They let us sample the tarts before buying which I think is a good marketing strategy. Who would resist free food, correct? 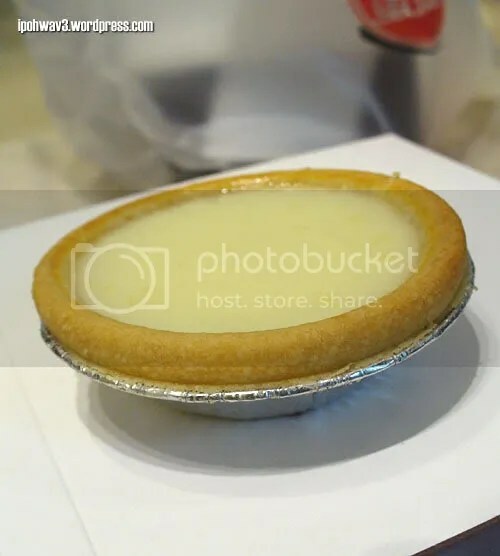 The tart was good; not overly strong tea taste, smooth texture (as if it’s a bit runny too) but the cookie crust was too light, it crumbles easily. This picture was taken after the staff replenishes the item. 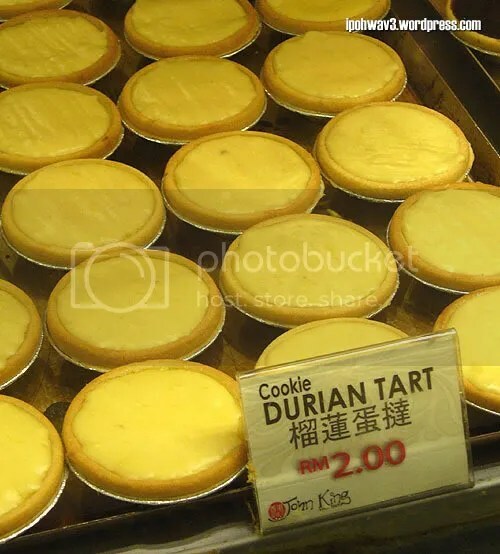 I guess the Durian Tart was a popular hit among the patrons. Too bad I couldn’t get the Teh Tarik Tart as they’re already sold out by the time I reached and they’re still baking the next batch. 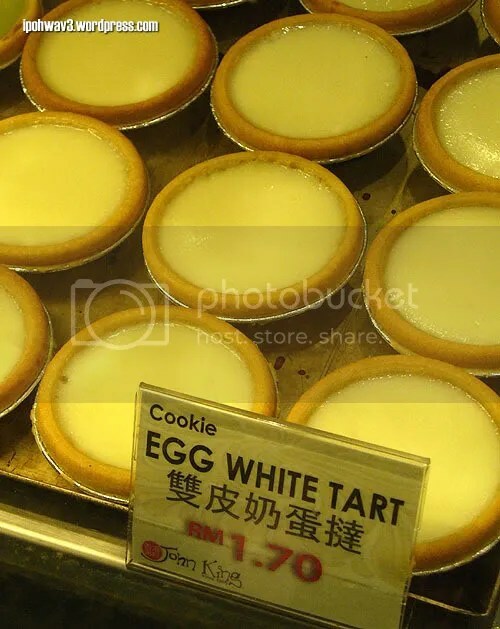 However, I managed to get the cookie crust Egg White Tart which in my opinion, tastes much better than their original pastry crust egg tart. 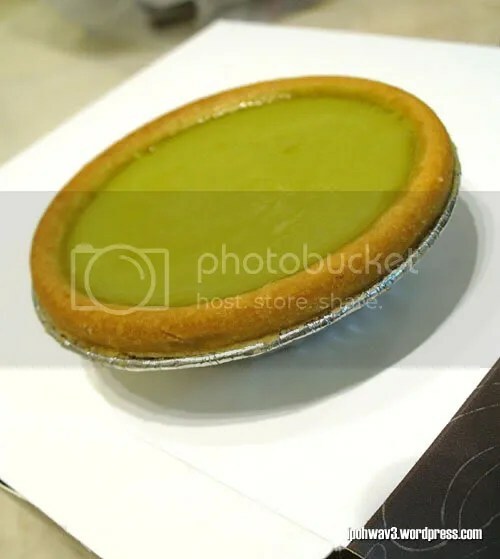 Smooth texture of the filling and more fragrant than the original egg tart, but same like the green tea, the crust crumbles easily. *Available at new outlet in 1Utama as well. What the others think about Gen-Y tarts? BigBoysOven said, “Have food will travel”. For most of the dedicated floggers, the answer is yes. But for me, it might be yes. Or might be no. So in order to prove myself, I decided to travel far away from my comfort zone on the first day of March to search for food. 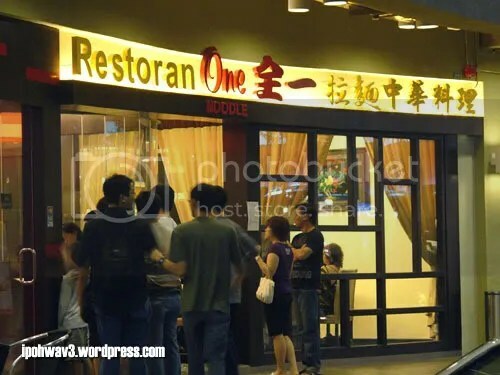 Fortunately, the makan kakis already decided where to go for dinner (which is indeed far away from where I stay). I had to take the Star LRT from Maluri to Bank Negara, then change to Komuter to Kepong Sentral where the guys picked me, did a few rounds in some high end housing estates and ended at a double storey complex called Waterfront, Desa Park City. You can find Secret Recipe, Coffee Bean, Natural New Zealand ice cream and MaxValue supermarket, owned by Aeon Co. here. 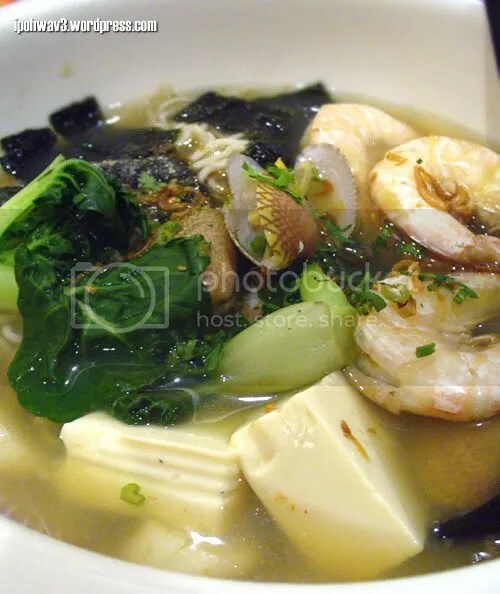 Our destination for the night, One Noodle. As there are about 9 of us, we were seated in a VIP room. 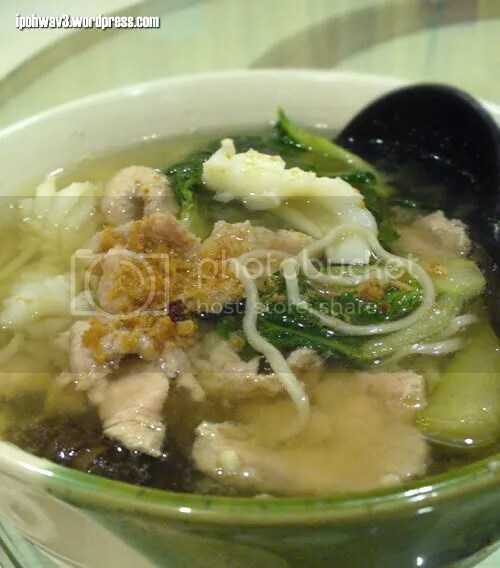 Although they serve mainly noodle (la mian), they also have some rich dishes and a few selection of pao. 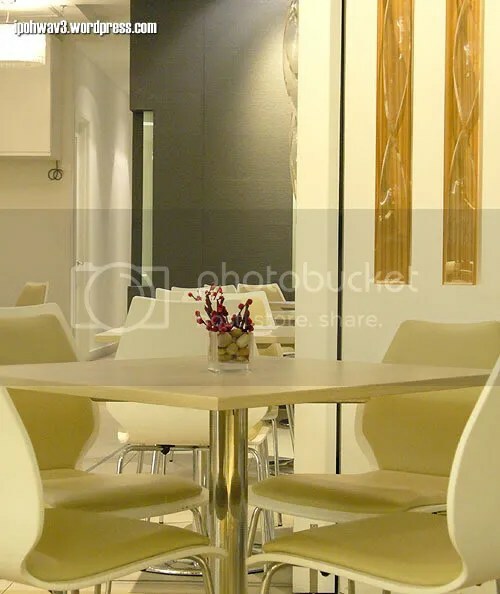 You might find my pictures usually don’t up to standard, sometimes bright, sometimes underexposed or yellowish. Still learning how to fully master my camera…. 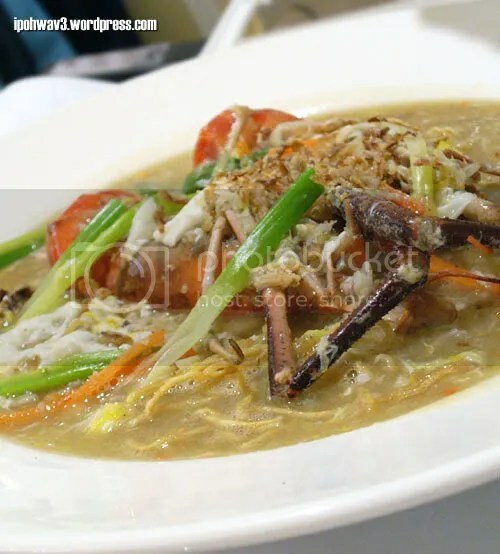 Anyway, this is Adrien’s Thai Style Seafood La Mien, RM 14.50 which came piping hot with tom yam broth, okra, medium prawns and clams. He loved it, so I guess it’s good. If you fancy beef, do try their Sah Wan Beef La Mien, RM 10.80. I have no idea what the Sah Wan means but the noodle came with a generous amount of beef meat slices, tripes and some baby bok choy. Probably the best and worth-to-order dish of the night, can you spot the prawns, okra, clams and taufu pok in this Curry Seafood La Mien? 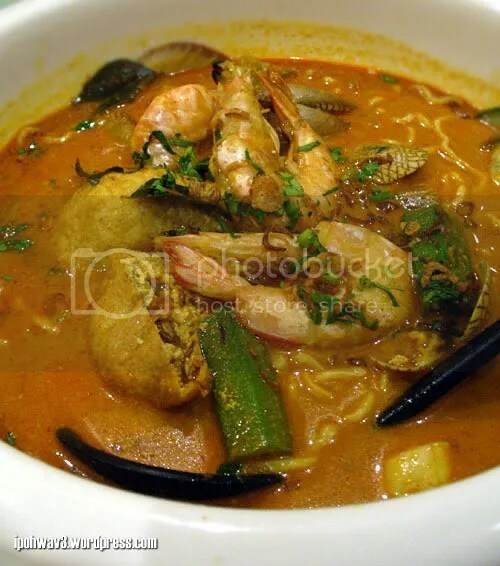 The broth was spicy, very appetising and thick and only priced at RM 14.80. 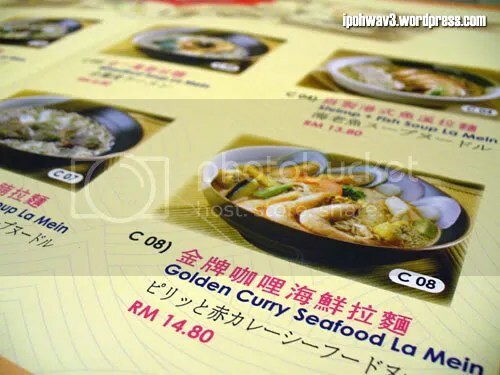 The Chef’s Special Soup La Mien, RM 17.60 was the most expensive item for that night. La mien served with clams, prawns, white soft beancurd and baby bok choy in clear soup, I personally think that it’is a bit overpriced. 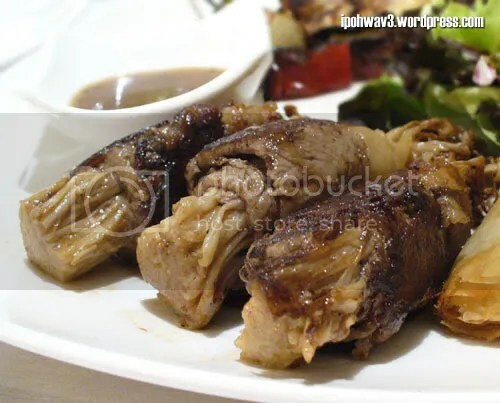 Another dish worth to order was the Fried Hor Fun with Beef, the basah (wet) style. 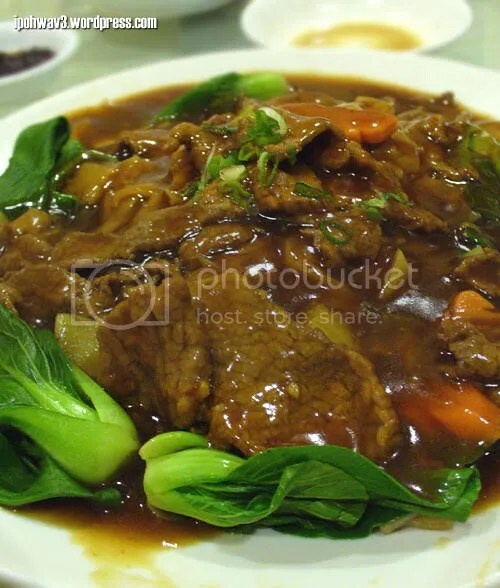 Again, it’s cooked with generous amount of beef slices, carrot and baby book choy and drenched in a special gravy. 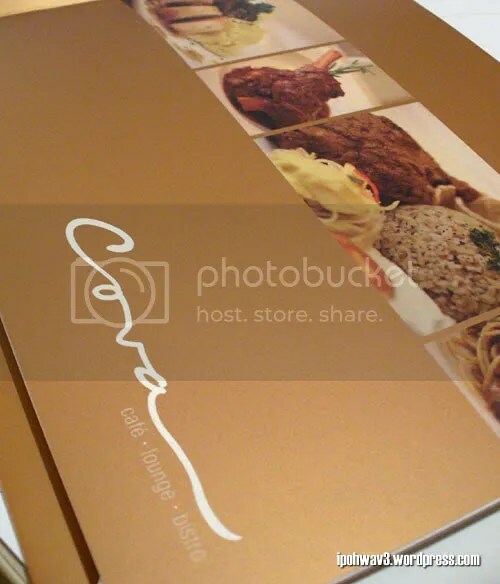 Priced at RM 12.00. My order arrived the last. This Carrot Wan Tan La Mien, RM 7.00 in clear soup was not bad. 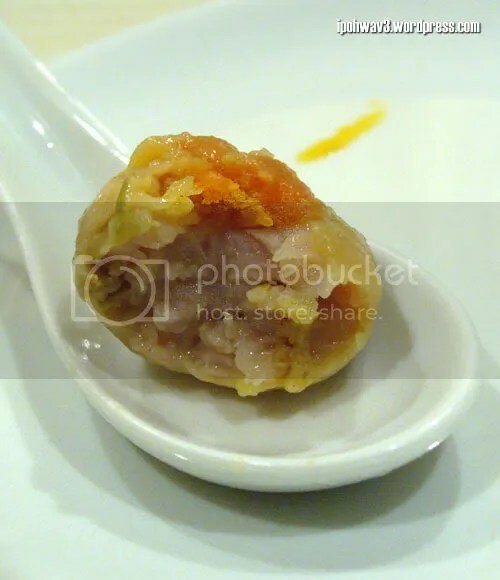 It came with some baby bok choy, preserved vegetable and four pieces of medium sized carrot and pork wan tan (quite an interesting combination). The wan tan itself was a bit hard and thick but juicy at the inside. 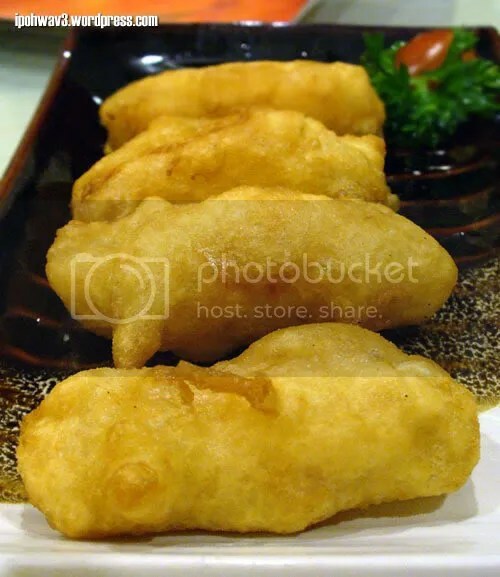 and Crispy Seafood Roll, RM 10.00. I didn’t try both of them, so no comment here. We left shortly after dinner to JL’s house for gaming session (Charades) and snacking on his Chinese New Year cookies. 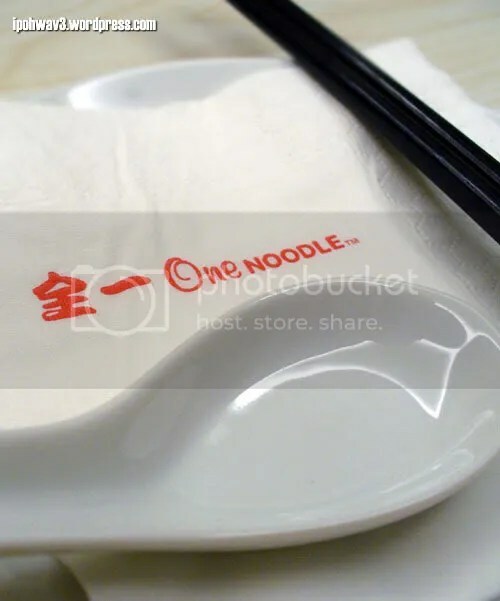 Overall, the food at One Noodle were not bad, there are few aspect which can be improved. 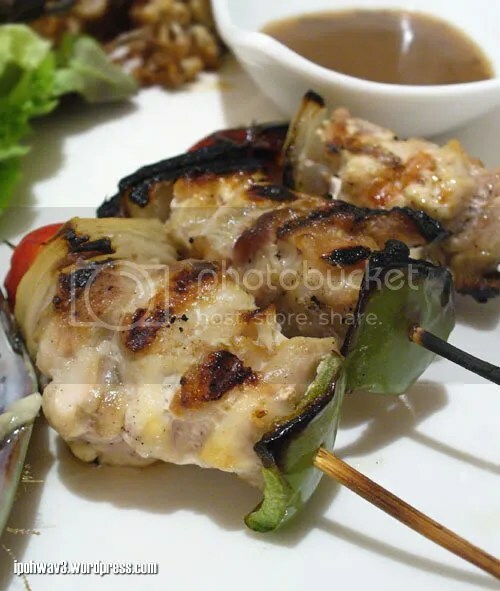 The service was prompt and friendly although the food took some time to arrive. I noticed that some of the waitress here spoke in Mandarin. For your information, One Noodle is under the same company that manages KTZ. 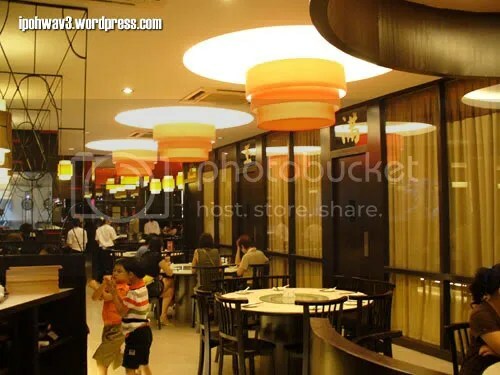 *They also have branches in SS2 and Kepong. *Notice: Cova has since been replaced by Starbucks. Let’ see, the last time I met up with Nigel was… December, before Christmas. That’s 3 months ago! Anyway, the two of us and WMW met up for dinner few days ago at Mid Valley. 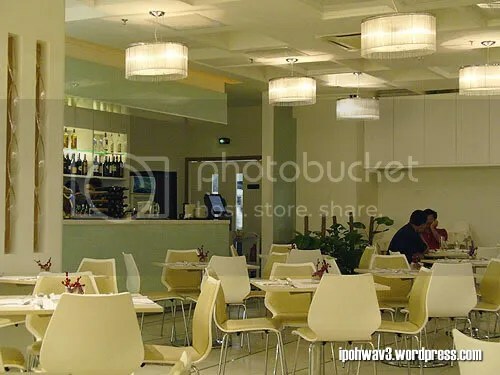 I managed to reach earlier than WMW and so we headed to Gardens while deciding whether we should do Fong Lye or Cova. 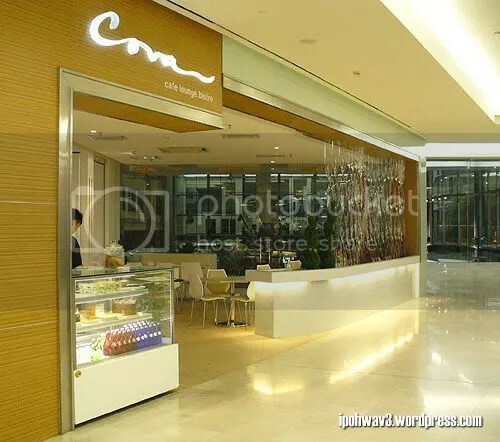 But since WMW already been to Fong Lye twice, Nigel and I decided we should go for Cova. 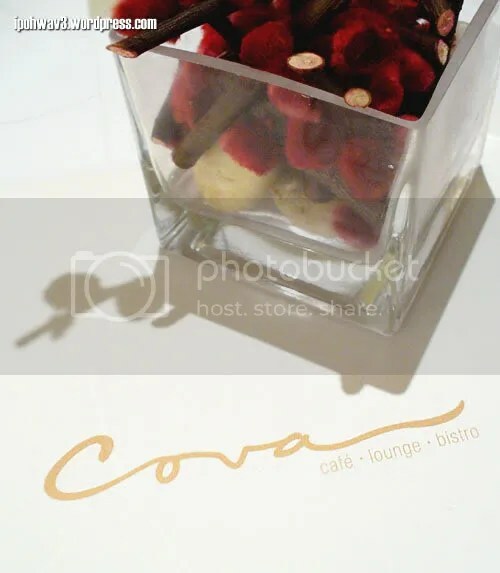 For your information, Cova is entirely a different restaurant and has no relation with the Spanish restaurant, Cava at Bangsar. While they just go for plain water, I picked something fancy. 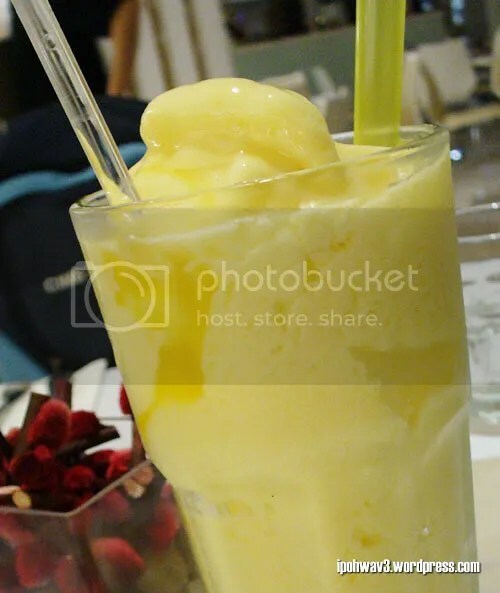 The Mango Maze, RM 10.50 was quite good, (ice blended mango juice) the ice were finely shaved, although it did tastes a little artificial to me. 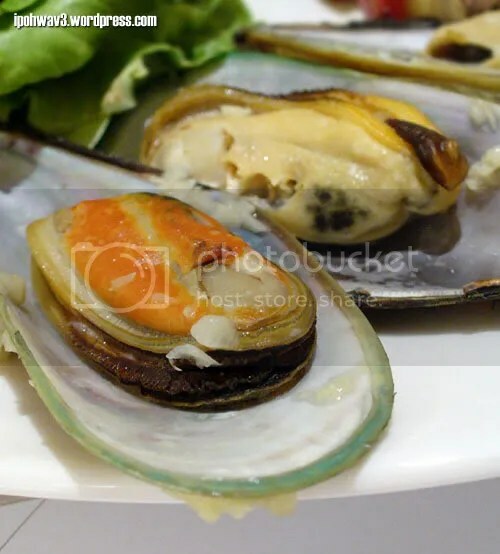 I got WMW’s share of mussel since she’s not a fan of seafood (neither do I but mussel is still acceptable). The size of the mussels were quite big, fresh but a bit cold (probably because we spent too much time photographing them, haha). 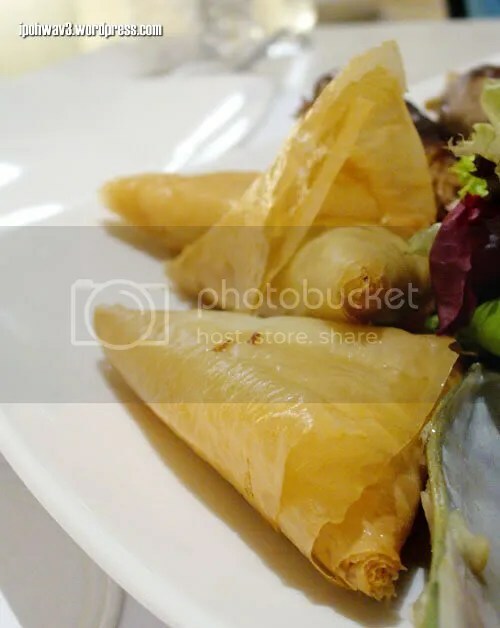 And lastly, some samosas (non grilled item) with turnips as filling. 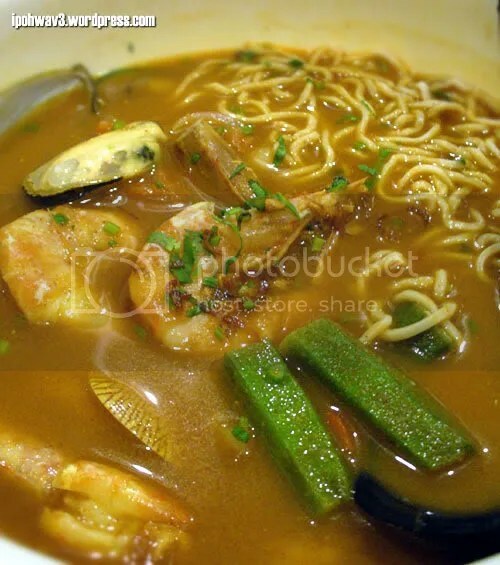 For the mains, Nigel opted for River Prawn Noodle, RM 28.50 which he enjoyed it very much. 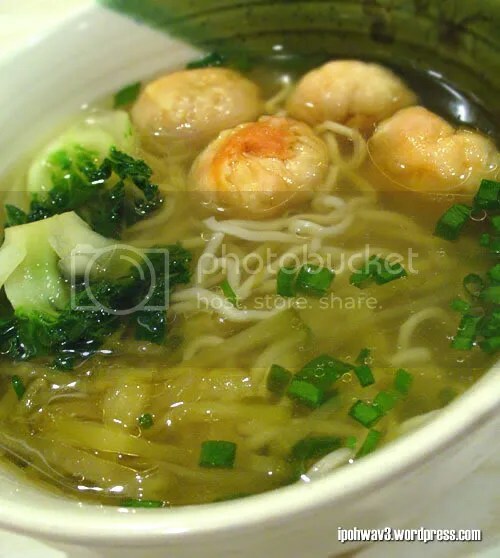 The prawns were huge, the noodle (yee mee) were cooked to the perfect texture with tasty egg gravy. 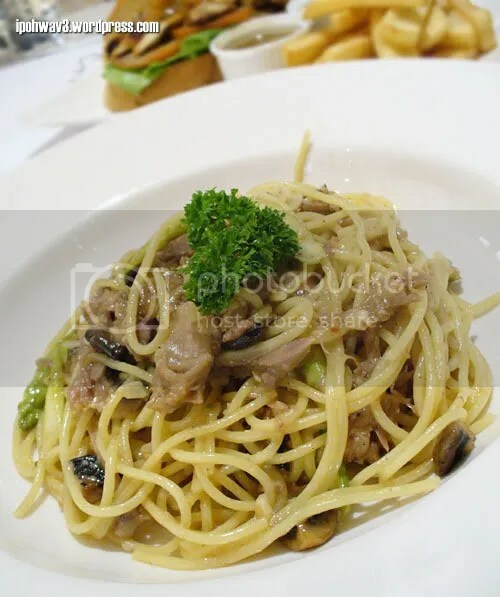 As I expected, WMW ordered the Duck Confit Vermicelli, RM 28.50 (she’s been waiting for a chance to try it!) and she was not disappointed. I took a bite of the pasta, it was wonderful. 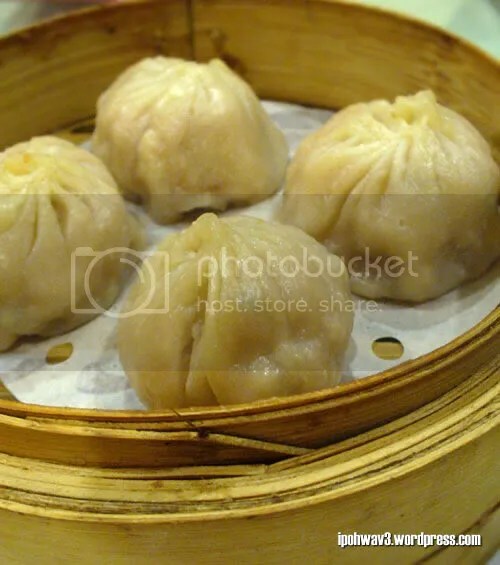 However, it can be tad oily, so do request them to cut down on the oil a bit. 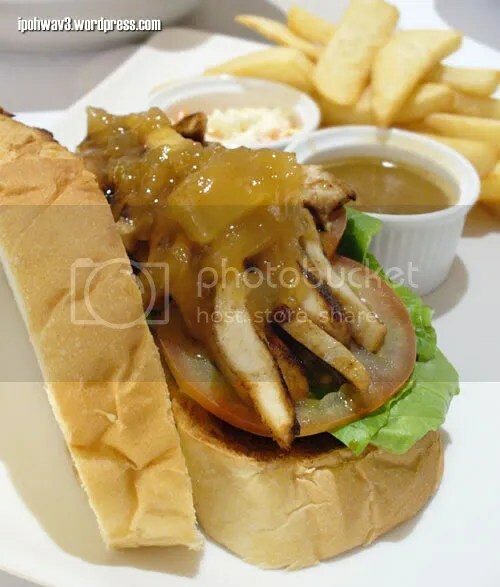 My Honey Grilled Chicken sandwich, RM 16.50 was pretty good too although I do expect that they honey grilled the chicken. It came with coleslaw, brown sauce and thick fries which caused Nigel went esctatic (no idea why, you gotta ask him, 🙂 ). The chicken strips were tender, moist and flavourful. Topped with some unsweetened honey spread, I enjoyed my meal to the very last except for some fries as I’m stuffed to the brim! The dinner itself was more like a photography class as Nigel shared his knowledge on how to use the Nikon D80 which WMW just recently bought and some tips to take a good picture with our compact digital camera. It was quite fun actually but I don’t think I’ll get any DSLR anytime soon… there’s still plenty of things for me to learn with my Lumix! Shall drop by again for the dessert as recommended by SC. The staff were friendly and attentive too. Plus, Cova is also one of the place in Gardens that open till midnight. By the way, did I mentioned that they have an al fresco area too?